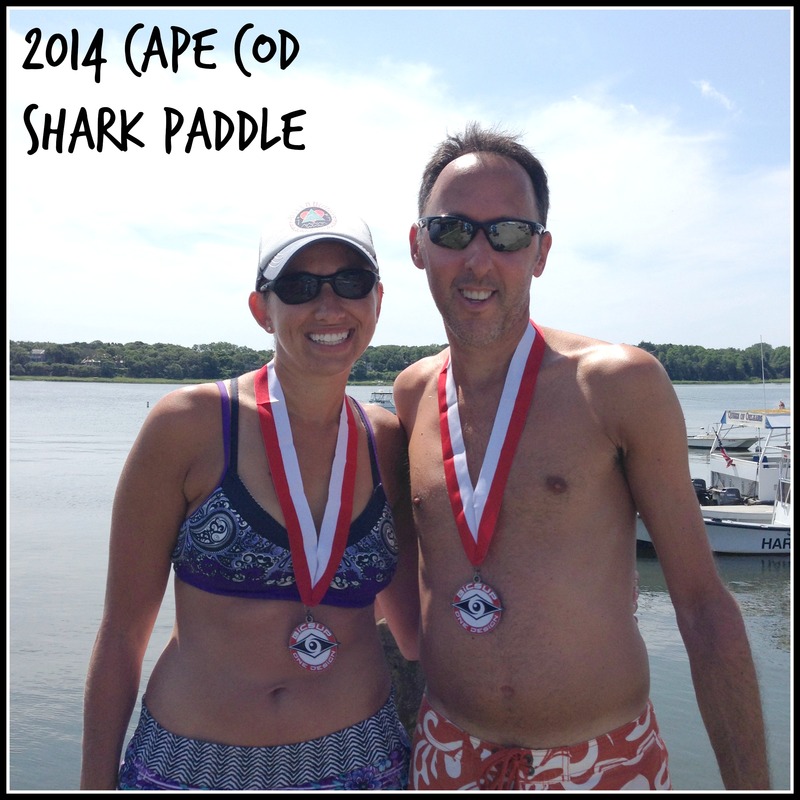 Last week Jason and I tried a new kind of race – a stand up paddle board race! 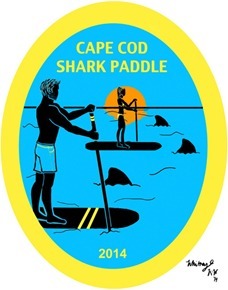 The Cape Cod Shark Paddle was a fundraiser for the Atlantic White Shark Conservancy to fund research by Dr. Greg Skomal (may sound familiar to Shark Week fans!) and others. Having never done a paddle board race I really had no idea what to expect, but I quickly realized that it was going to be a very small and informal event (which was great for us first timers!). 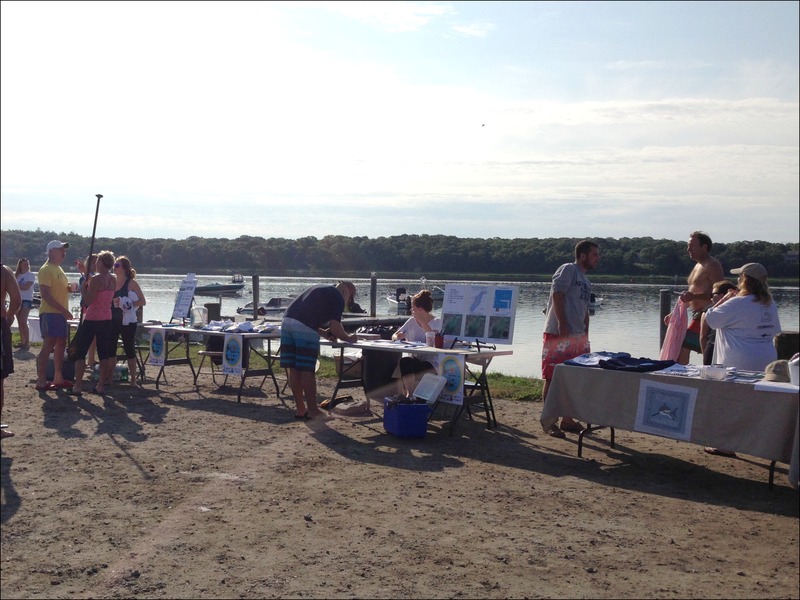 …then stopped at the registration table and signed in for the 6 mile race! 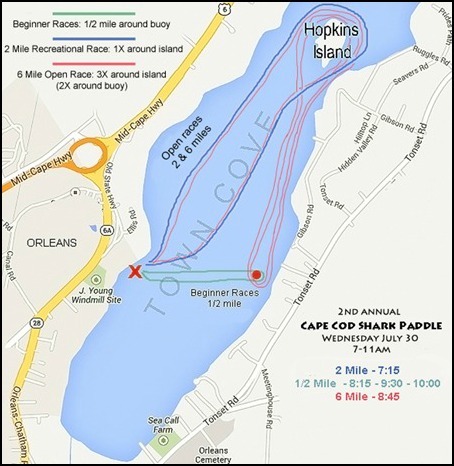 I was glad to see it looked like a rather informal, not-too-competitive race since Jason and I have never really done anything more than go out for leisurely paddles sightseeing around the different bays, ponds, rivers and harbors in our area around the Cape. 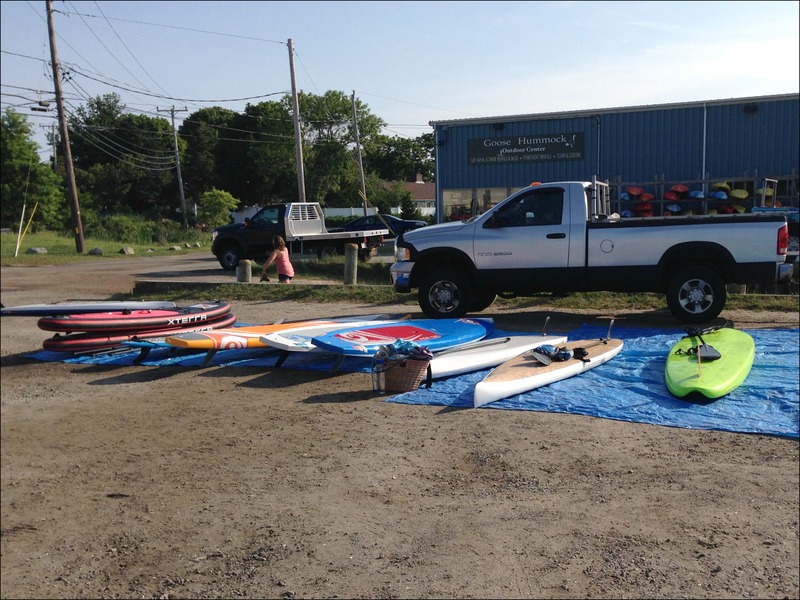 When they announced for the 6 mile participants to get ready we all dropped our boards in the water and paddled around a bit to warm up. And by ALL of us, I mean ALL TEN OF US. Yup, there were only 10 people doing the 6 mile race! And once all 10 boards were in the water I noticed that about 6/10 of them were racing boards (as opposed to the more generic all around boards Jason & I have). A horn sounded and we were off! Well, it felt more like everyone else was off and my board was stuck in quicksand! I spent the first 2 miles paddling as hard as I could while getting more and more (and more!) frustrated that I couldn’t keep up with anyone. I kept yelling to Jason that I hated this and I should just stick to running (yup, I’m a big baby). At the 2 mile turn around I told Jason I kind of wanted to stop. I just wasn’t having fun and didn’t see the point in even doing this. Had Jason said, “Ok, fine, let’s stop”, that would have been the end of our paddle. We kept paddling, but we stayed together, we talked and we just enjoyed being outside on the water. We waved and cheered on the “fast” people passing us in the other direction and we just kept moving forward. At mile 5 and almost done! We eventually finished in just about 2 hours and nine minutes (maybe 10 minutes behind the person in front of us), and came in a leisurely 8th and 9th out of 10. Ahhh…so who came in 10th?? Well, the whole time there was 1 girl behind us. She kept moving along slow and steady the whole time and I have to admit that a few times I did think, “well if she’s not stopping, I’m not stopping”. It was great to have the two of them cheering us on each time we crossed paths (and seriously, they are both SUP racing machines! ), but honestly, I never could have done this race without Jason. There is a good chance I would have gotten frustrated and just called it quits if it weren’t for him. I hated being so far behind so quickly and not being able to catch up no matter what I did. 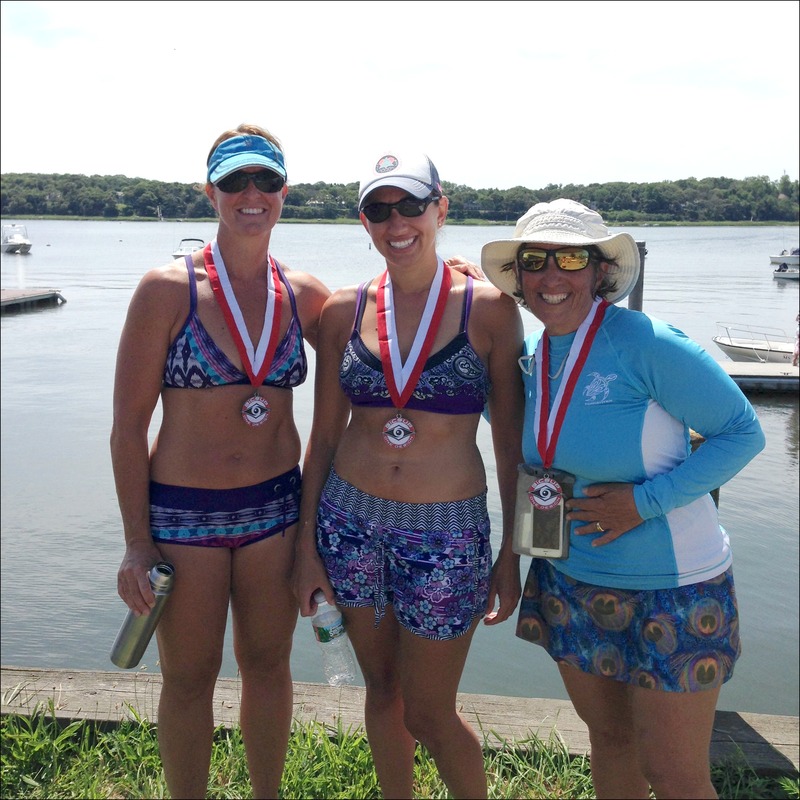 I felt like we were handicapped from the start because of the type of boards we were using and I very quickly realized that paddling was a more relaxing activity for me, I didn’t really like the idea of racing. As we headed towards the finish, I told Jason I couldn’t have done it without him encouraging me along and getting me to relax when I was frustrated to the point of wanting to quit. 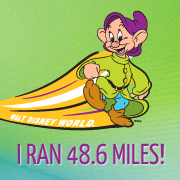 And, I promised I would do the same for him when he runs his first half marathon later this month in Disneyland! Have you ever wanted to quit during a race? Has someone encouraged you to keep going when you didn’t want to? This is too funny! You replace paddle board with running and this is me for pretty much every race EVER for me! lol I have definitely been fortunate to have people pushing me through every race (even if they’re not running with me, I still know they’re “there” for me). Anyway, congrats on an awesome race! Glad that Jason was there to make you stick with it and that you were able to enjoy it! …and that you weren’t attacked by sharks! Haha, I think my frustration was really with the fact that I felt handicapped by my equipment, not so much my actual paddling ability. That and I just didn’t like the idea of racing! Glad I finished it though! Have there been times when I wanted to quit during a race? In a word…YES. I have to echo Kellie’s comment above. I don’t know how many times I’ve had this EXACT mindset in a race just because I was struggling or people were passing me or I physically couldn’t catch up with Todd, etc., etc., etc., and the moment I told myself not to worry about my time or the fact that it was a “race,” I immediately began to relax and just take it all in. Exactly! It’s funny though because I don’t seem to have this problem with running as much, I’m not really all that competitive so I was sort of surprised when I got so frustrated so quickly! Congrats! 2 hours is a LONG time on a paddle board. I think I’d last 30 minutes. And I’ve totally wanted to quit during a race. But I’ve always finished, except for one premeditated DNF when I did a 20-mile training run as part of the Yonkers Marathon. I pulled off the course as planned, but that time I was tempted to keep running! Thank goodness for Jason and all the Jasons of the world. At least you learned that you like paddle boarding for relaxing and yoga, not racing. That’s something! I do a lot of paddling but haven’t done a race yet. After reading this I may have to find one. And I’m with you on equipment, my board is designed for surfing not racing so I’d have to try the leisurely stroll on the water. Let me know if you try one, I’d love to hear how it goes! I am in RI, I’ll have to check it out. If you have the link for the event I’d really appreciate it. And I’ll definitely let you know how it goes if I do it. So glad you didn’t give up! 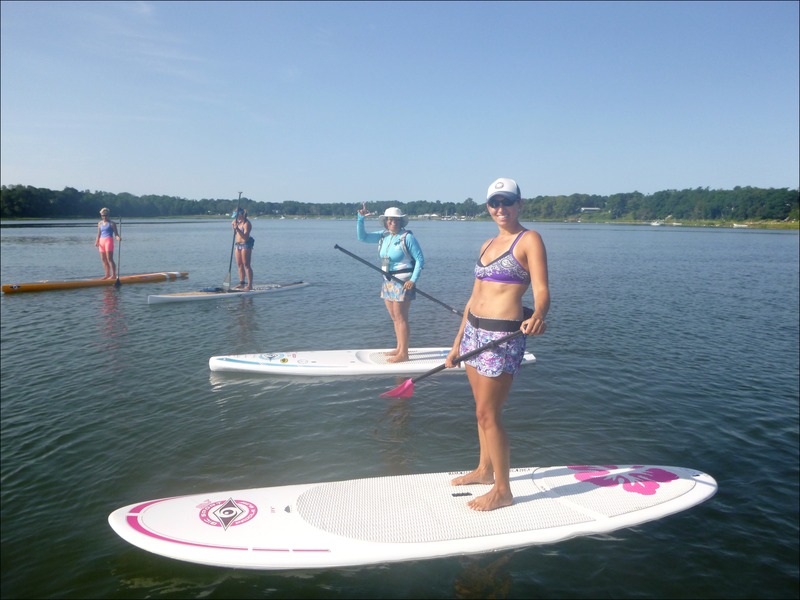 Such a great way to spend time outside (even if you don’t have a race paddleboard!). I’m sure that if they tried to do yoga on their race boards, they would be falling all over themselves in the water 🙂 Your board looks nice and stable for balance and warrior poses! Way to go! Now tell me, how sore were your lats? Ha, yes, I’ve wanted to quit almost every race I’ve run at some point. That’s when we need to push thru! Most memorable was one of my first 13.1’s. I was running with my sis and I was hurting from pushing so hard. The only reason I didn’t quit was cause she was next to me. We didn’t say anything to each other, but I was thinking, ‘if she can keep going, then so can I’. It wasn’t until after the race that she told me she wast thinking the exact same thing! So oddly I wasn’t sore at all! I was really surprised, I was expecting to be at least a little sore, but I actually even went to a track workout later that night (where my legs felt a little more jello-y than usual, but still!). It’s funny how something unspoken between you and your sister kept you both going! That’s sort of how I felt about the girl behind me during the race! Way to keep with it! Kudos to Jason for helping you finish. Are you going to stick with fun paddle boarding or trying other things out of your comfort zone? 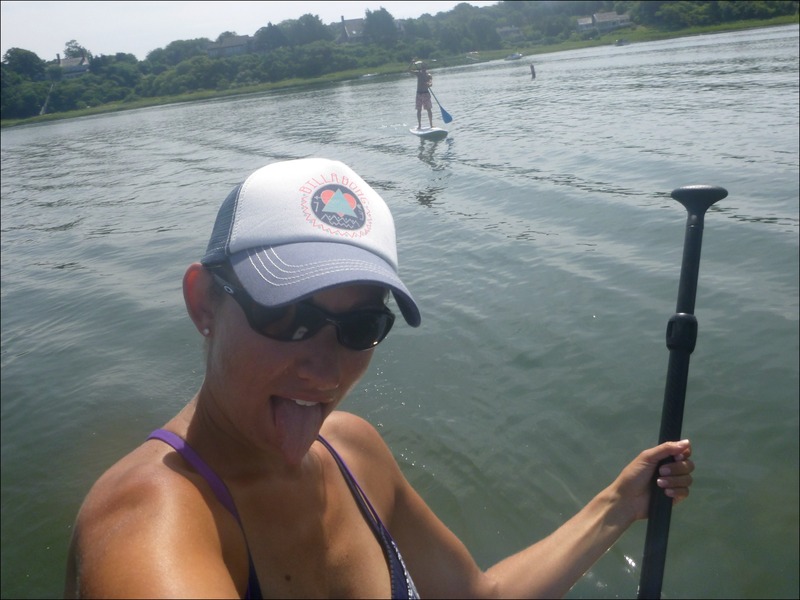 Yes, I really do love paddle boarding (just not racing!) so I’m sure we’ll still be out there a lot! I love trying new and different things, so we’ll see what I come up with next! Congrats on finishing! You had to feel such a sense of accomplishment. My sister has paddlebored before but I don’t think I could do it! Great blog. Would these kinds of inflatable paddle boards work for this? : http://www.paddleboardstop.com. Congrats for sticking with it and finishing!! I’ve definitely felt like quitting during a race but so far haven’t actually quit. And now you can at least say you’ve done a paddle board race!